I love hosting parties during the holidays, but I have to be honest, I keep it super simple! I have learned over the years, that guests enjoy the party more if the hostess isn’t stressed out or exhausted by the time the party starts. This Chocolate Fondue couldn’t be any easier! All you need are two ingredients – sweetened condensed milk and chocolate chips. Add both ingredients to a small saucepan and heat over medium heat, stirring constantly until smooth. This will take about 5 minutes. Cook’s Tip #1: Have all your chocolate fondue dippers ready and on the plate, because the fondue will cook quickly. Cook’s Tip #2: It’s best to serve the fondue in a fondue pot to keep it warm and smooth, but it’s not totally necessary. You may need to reheat the chocolate fondue in the microwave if you are using a bowl to serve. Cook’s tip #3: To store the chocolate fondue, transfer to airtight container or mason jar with lid. Store in the refrigerator up to 1 week. Pound Cake is great as a chocolate fondue dipper! For Christmas, we used mini cookie cutters to cut the cake into shapes. It’s easier to cut the shapes if the pound cake starts out frozen, and then is slightly thawed. The cookies cutters could easily be changed for a different holiday. 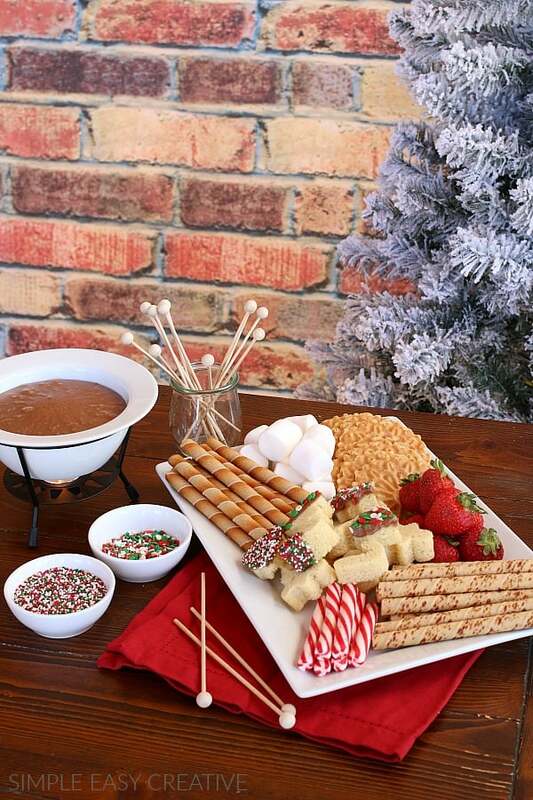 For even more fun, you can add sprinkles to the pound cake Chocolate Fondue Dippers! 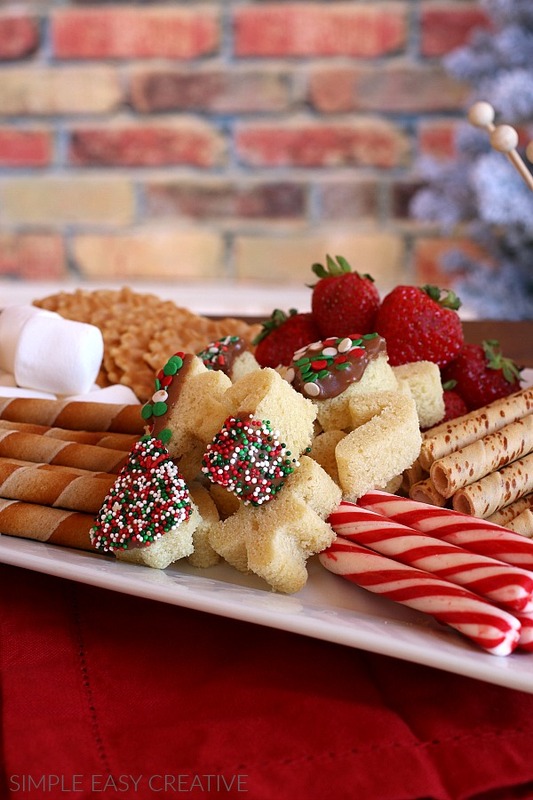 We also served – cookie sticks, peppermint sticks, marshmallows, Pizzelle cookies, and strawberries. You can also serve other fruit, or cookies. 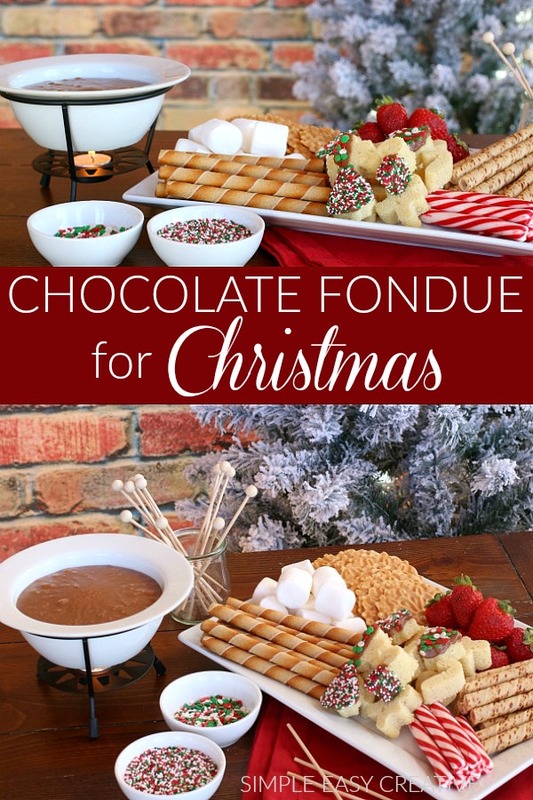 This Easy Chocolate Fondue Recipe also makes a great gift for the holidays! Add some of the dippers to a basket, then add the chocolate sauce to a mason jar and add to the basket! 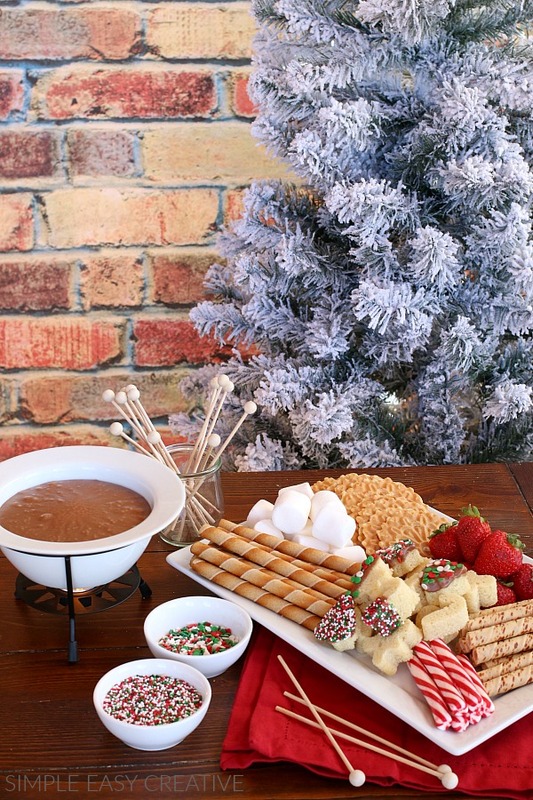 I bet there are a lot of people on the Christmas list that would love this Chocolate Fondue! You could even add a fondue pot they could serve the chocolate fondue in. Planning a party? 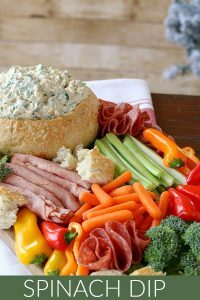 You may also like these Party Recipes! This Chocolate Fondue Recipe takes only 2 ingredients and about 10 minutes total to make! 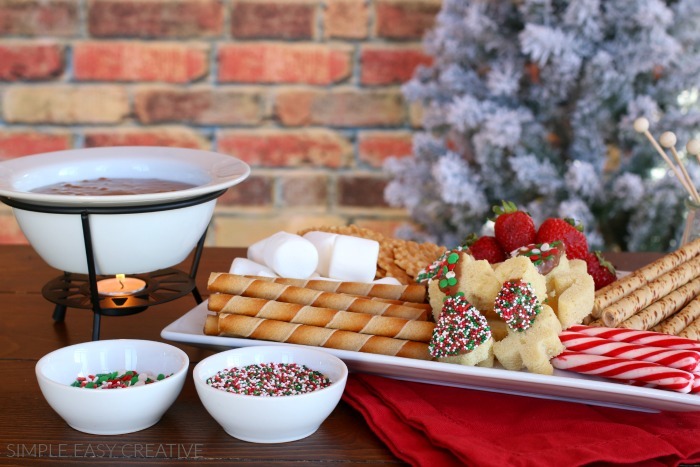 Serve with fun Chocolate Fondue Dippers for Christmas! So cute! I’m going to make this for Christmas Eve. What brand/s of chocolate chips do you recommend? Hi Megan, I like the Hersheys Milk Chocolate, but any that you like will work fine. This has been a favorite recipe of mine since collage. It’s so simple, but so tasty! 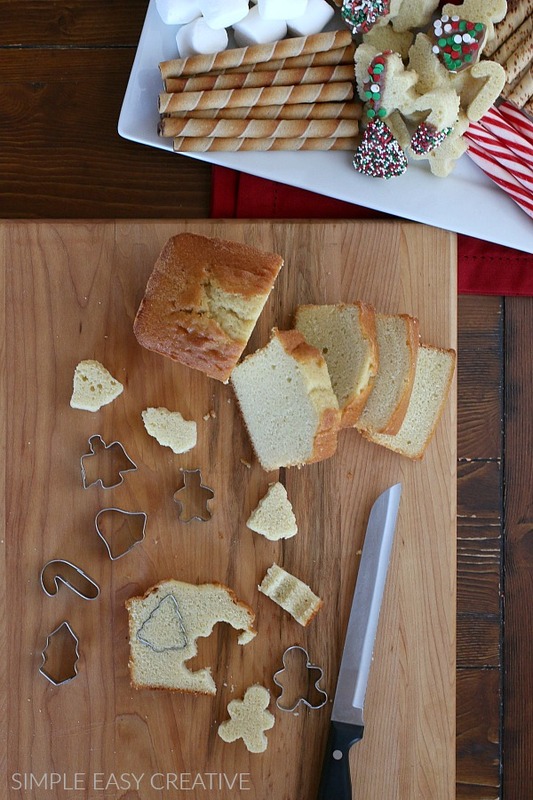 I love that you cut the pound cake into cute Christmas shapes. What a fun idea! Thanks Kara! I love the Christmas shapes too! They are so easy, but look like you spent a long time on them! This is the best easy chocolate fondue recipe ever – smooth, silky, and packed with flavor! I couldn’t agree more Courtney! 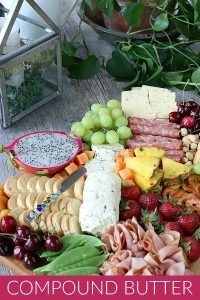 I love to do fondue and love how you cut accompaniments into darling shapes. Brilliant! Thanks Julie! The pound cake shapes are my favorite too! This is crazy adorable. 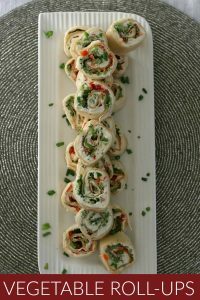 What a fun, beautiful, and tasty idea! I love it! Thanks so much Michael! Thrilled you like it! 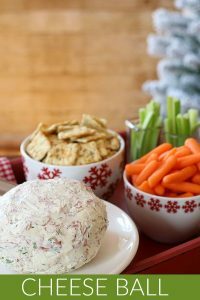 This is such a fun holiday recipe we are absolutely making this multiple times this year. Thanks Alli! Thrilled you like it!